Studies show that the prevalence of food allergy is increasing in both Western countries and developing countries in Asia and Africa during the last decade. In Thailand, the incidence has increased by three or four times during the past four decades. 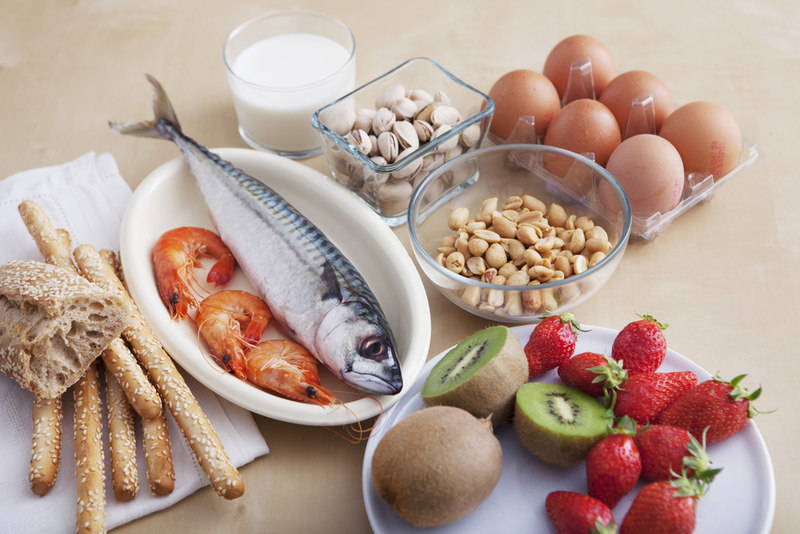 What is a food allergy and what are the symptoms? Excessive adverse effects to a certain kind of food is a sign that your immune system is displaying an allergy to proteins in the food. The reaction can be immediate or appear as much as two hours after eating, even if you have only had a small amount of that food. Symptoms can be mild to moderate-tingling in the mouth, skin rash, nasal congestion, vomiting, abdominal cramps, diarrhoea, dizziness, swelling of the tongue and throat – or they can be very serious like anaphylaxis. Anaphylaxis is the life-threatening complication. It is unpredictable and occurs suddenly making it potentially life threatening. One of the most dangerous symptoms of anaphylaxis is swelling of the throat, making it difficult or impossible to breathe, possibly resulting in acute cardio-respiratory distress. 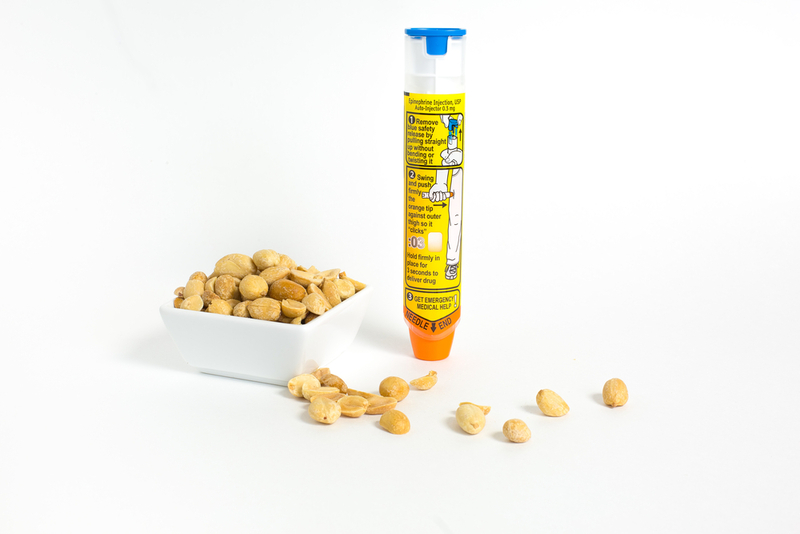 Other anaphylaxis symptoms include abdominal pain, vomiting, diarrhoea, oedema of lips and tongue, diffuse skin rash, low blood pressure, elevated and abnormal heart beats, chest pain and faintness. If you know that you suffer from anaphylaxis, you should carry your Epi-Pen with you at all times. However, most people confuse food allergies with food intolerance. There’s a difference between these two things. The latter does not involve the immune system, but rather a problem in the digestion process. Certainly, Thailand is a haven for food lovers and well known for its street food. However, those with food allergies should be aware of what they eat because lots of Thai dishes contain food allergens. A lot of the most popular dishes, for example, Som Tam (spicy papaya salad), Tom Yum Kung (spicy and sour soup with shrimp), Pad Thai (fried noodle with peanut sauce), Kai Pad Mamuang Himapan (fried chicken with cashew nuts), Khai Jiao (Thai-styled omelette), contain a lot of the most common allergens. Therefore, when eating out at restaurants or from a street vendor, you can reduce your risks by checking menus about ingredients or asking someone to help you understand the ingredients of each dish you want to eat. Below you can find some of the most common allergens and their Thai translation. Food allergy is translated in Thai as ‘แพ้อาหาร’ (Pae-Ar-harn) or can be said in short as ‘Pae’. - ถั่ว (Tua) is nut. - ปลาหมึก (Pla Muk) is squid. Therefore, if you have doubts about the ingredients of your favourite dish, be sure to ask about both the ingredients and the way it is cooked to ensure food allergens are not included in the dish for your own safety. Is an allergy test necessary for you? In fact, there is no standard test to confirm or rule out a food allergy. Family background, type, and frequency of reactions, skin and blood tests usually form the diagnosis. Your doctor might ask you to skip a suspected food for a couple of weeks to see if the symptoms stop. In Thailand, there are several allergy centres in leading private hospitals, mostly located in Bangkok. If you have healthcare insurance and suspect you are allergic to something it is worth getting yourself checked; but make sure if your insurance covers the allergy test or if it is claimable. Usually, health insurance will pay upon particular food allergy status based on the ICD-10-CM Diagnosis Code. If you have allergy symptoms, you can easily buy over-the-counter drugs which will typically help to reduce mild symptoms. If these drugs do not help your symptoms, then it is time to see your doctor. Whether you suffer from a peanut allergy or a shellfish allergy, it’s always important to have comprehensive health insurance no matter where you are in the world.